"Strong people stand up for themselves, but the strongest stand up for others"
Established in 2003 under the tutelage of Black Belt Professor Kevin Wilson (BJJ & TKD), Ryoma Academy of Martial Arts (RAMA) emerged as the area’s premier and only Brazilian Jiu-Jitsu academy. RAMA offers quality instruction in Brazilian Jiu-Jitsu & Mixed Martial Arts fundamentals for street application. With classes tailored to promote self-defense, physical fitness, and mental fortitude, we pride ourselves in developing martial artists whose confidence radiates on and off the mat. Whether your aspirations are to increase physical fitness, learn self-defense, or to compete in BJJ or MMA. RAMA seeks to facilitate your journey to accomplishing your individualized goals. Check out our schedule and find a class that matches your availability. A martial art, combat sport, and a self-defense system that focuses on grappling and especially ground fighting. Originating in Japan, jiu-jitsu was adapted by Carlos and Helio Gracie to utilize leverage and technique to combat the strength and size of larger adversaries. Expect to develop a understanding of self-defense all while improving flexibility and physical fitness. 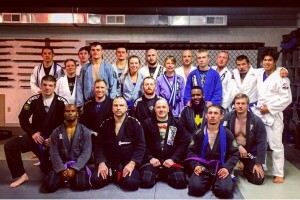 We also offer a beginner friendly BJJ fundamentals class that meets Monday & Friday. MMA fundamentals blends techniques from the world’s fastest growing combat sport and combines them into a functional system that trains students for real world confrontation. Expect a increase in cardio, muscle-endurance, and confidence. 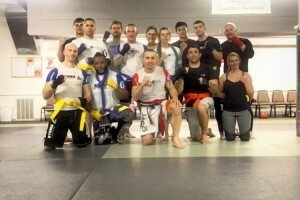 For those wanting to compete, MMA fundamentals is our base program for all RAMA MMA athletes. 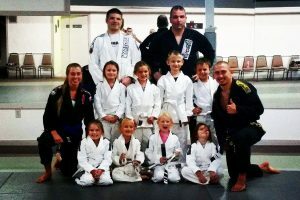 From Lil Grapplers (4-7) to our Youth Jiu-Jitsu (8-14), Ryoma Academy seeks to improve your child’s discipline, confidence, and self esteem. With a curriculum focused on de-escalating bully confrontation, give your child the confidence to succeed on and off the mat. 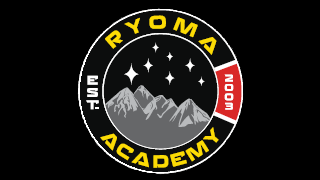 Ryoma Academy is a "vehicle for developing one's potential". If you want to get in shape and learn a few techniques, learn the definition of humility, and become a better person... Ryoma Academy is waiting for you. Loved my time here. The instruction is superb, everyone is friendly, and everyone will help you to be come better. I hope to return very soon. Testimonials from current and former students taken from our Facebook account. Read them and discover what makes RAMA the premier martial arts academy in the Western Maryland region.